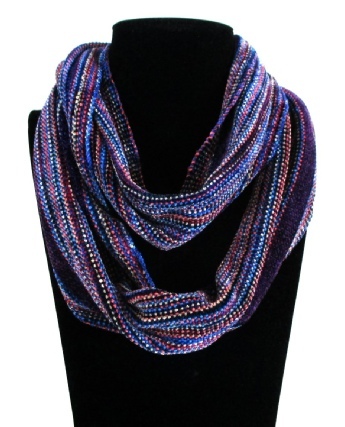 This soft, cuddly scarf is made of rayon chenille, from my “Confetti” series. 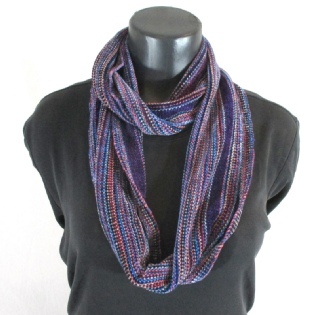 It’s woven with a lovely blue-purple chenille yarn. 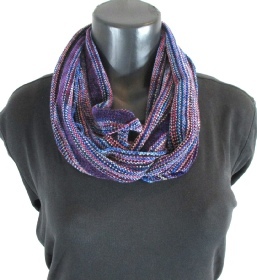 It measures 7” x 61.5”, and is sewn in a long enough inifinity loop that you can wear it long, or doubled as a cowl. 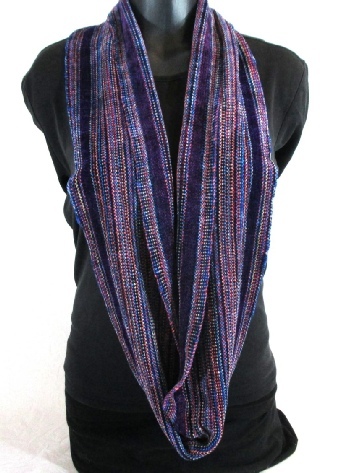 Don’t care for these colors? Let’s design one together! Contact us.